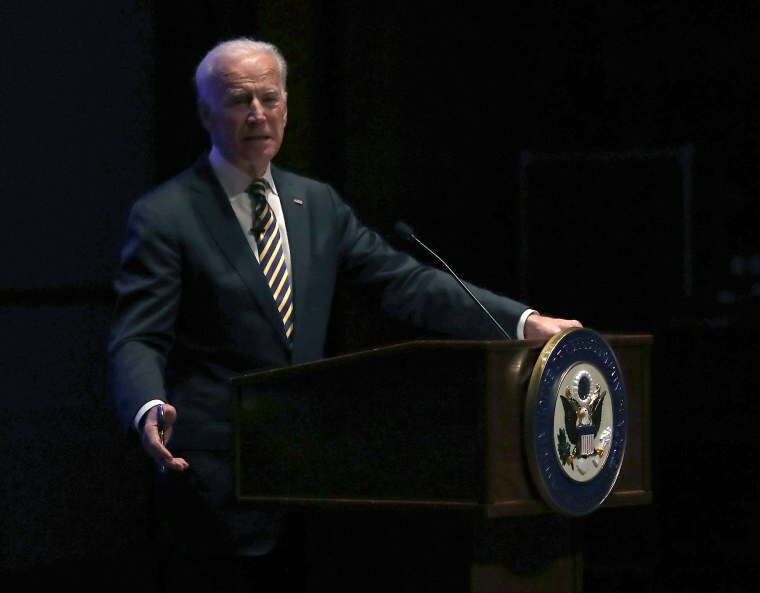 First Read's Morning Clips: What's next for Joe Biden? 2020: NBC’s Mike Memoli has a deep dive into Joe Biden’s plans for the midterm elections and beyond to 2020. AK-GOV: Former Democratic Sen. Mark Begich is throwing his hat in the ring, mixing up the race for governor against independent Bill Walker. AL-GOV: Is Kay Ivey unbeatable? CA: Alex Seitz-Wald reports on the collapse of the Republican Party in California. Asian-American voters could have a big impact in Orange County, the New York Times reports. And the Los Angeles Times outlines six crazy things that could happen in the California primary. CA-GOV: The California governors’ race has become a referendum on resistance, writes the Washington Post. CA-SEN: Dianne Feinstein is poised for a big win after her turn to the left, writes the Washington Post. FL-SEN: Bill Nelson will pick up the endorsement of former Puerto Rico Gov. Pedro Rossello today. IA-GOV: The Iowa governors’ race may be the most expensive in state history. KS-GOV: Kris Kobach is in hot water after appearing in a parade with a large replica gun on the back of a Jeep. MI-GOV: Some Democratic activists are worried about the size of the primary field. MN: Here’s all the latest from the Star Tribune on the DFL’s primary endorsements over the weekend. NJ-SEN: Tuesday is also primary day in New Jersey. Here’s NJ.com on some of the big races in the state. And buckle your seatbelts, because the Senate general election will be nasty. VA-5: Distillery owner Denver Riggleman will replace Tom Garrett as the nominee in Virginia’s 5th congressional district. TX: More than 50 LGBTQ candidates are running in Texas this cycle. U.S. allies are rebuking Trump on trade ahead of the G-7, writes the Wall Street Journal. The New York Times looks at Steve Mnuchin’s role in the trade tug-of-war. North Korea says Bashar al-Assad will visit Kim Jong-un. Congress is back, and immigration will take center stage, writes the AP. The Wall Street Journal looks at the increasingly complicated race to replace Paul Ryan.